Today, a man’s pride in his Scottish heritage is often asserted by wearing a kilt made of his clan tartan—a fabric woven with the specific plaid pattern that is claimed by his family. You might assume with kilts being such an important piece of Scottish tradition that the clan tartans are several millennia old, or at least go back to the Medieval Period. But you would be wrong. 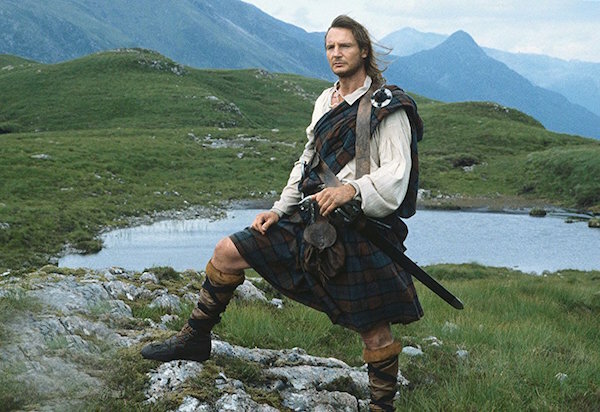 In fact, this misconception is so common that “Outlander” costume designer Terry Dresbach gets grief for failing to put the TV show’s lead Highlander, Jamie Fraser (Sam Heughan)—a fighter in an 18th-century rebellion known as the Jacobite Risings—in a Clan Fraser tartan kilt. On Elle.com, Dresbach explains she designed Jamie Fraser’s tartan based on plant dyes that would have been available in his homeland, which is more historically accurate than the colors now registered in official Fraser “sett,” or pattern. The original kilts were loose-fitting, full-body, and short-skirted garments, similar to Roman togas, that do, indeed, trace back to ancient times. 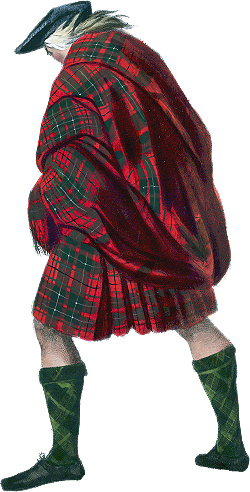 And these so-called “great kilts,” exclusively worn by male warriors in the Scottish Highlands, were constructed out of a type of plaid, or checked, wool fabric that came to be known as “tartan.” Back then, the Scottish clans, or tribes, didn’t have particular setts or colors that they claimed as their own. 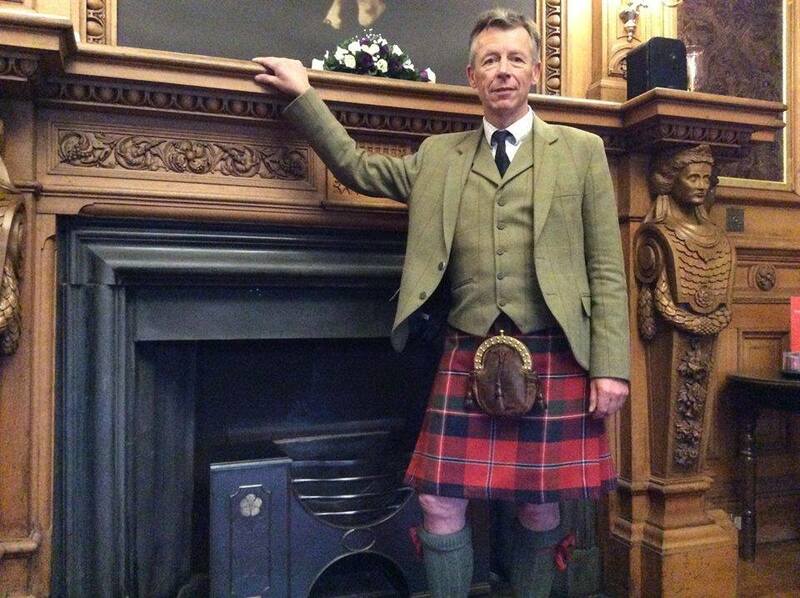 Above: Scottish Tartans Authority historian Peter MacDonald wears a kilt in his handwoven reconstruction of the MacDonald of Glenaladale tartan. 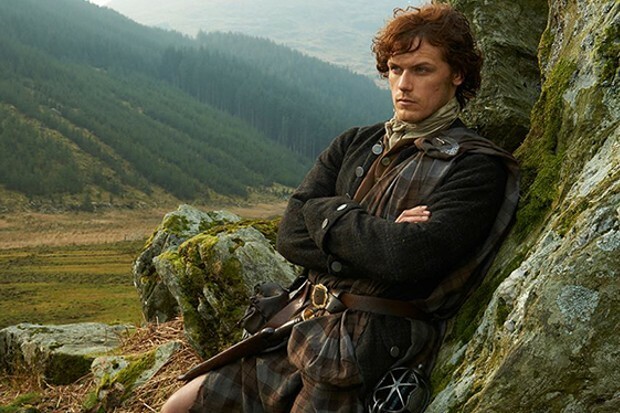 (Photo credit: Chas MacDonald) Top: In “Outlander,” Sam Heughan plays Jamie Fraser, a Scottish Highlander who fights in the last of the Jacobite Risings in 1745. The first time specific Scottish subgroups were identified by their tartan happened in 1739, when the British military began to organize fierce Highlanders into regional fighting regiments that wore particular tartans as part of their uniforms. However, it was another 80 years before kilts became part of a pan-Scottish identity, and the gentry in the Lowlands began to scramble to define their own “clan tartans”—something they had never worn before. 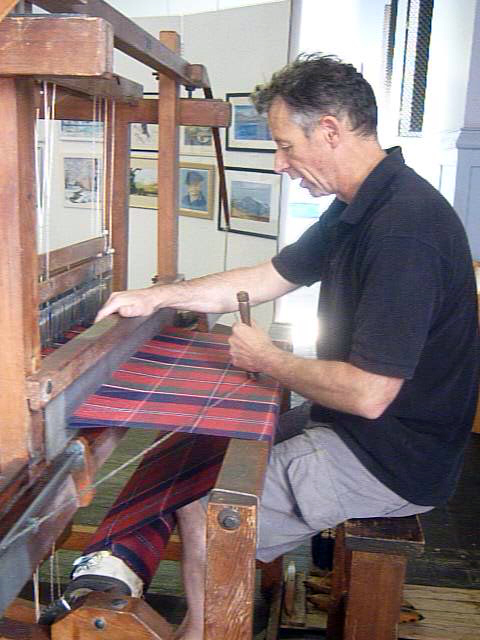 Most of today’s known clan tartans were invented by weavers and revisionist authors using fabricated “historic” sources in the early 19th century. Regardless, at this point, these tartan traditions are nearly 200 years old. 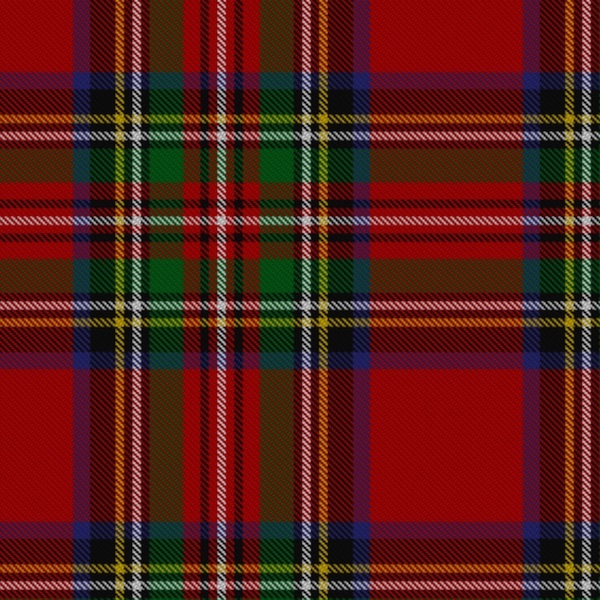 In 2008, the Scottish government established the Scottish Register of Tartans, which let the clans—and other groups—make their signature tartans official. But the true history of tartans, and what can be ascertained by piecing together scraps and bits of fabrics from ancient Highland tribes, has been cataloged by the educational nonprofit Scottish Tartans Authority, which keeps a database of nearly 8,000 known tartan patterns. Peter Eslea MacDonald, head of the STA’s Research & Collections division, is an esteemed tartan historian who worked as a consultant on the 1995 Liam Neeson film “Rob Roy” and gave his expert opinion in a BBC documentary about the writer Sir Walter Scott. He was kind enough to speak with Collectors Weekly over Skype and bust all our misconceptions about the history of kilts and tartans. Collectors Weekly: Can you describe the earliest known kilt? Peter Eslea MacDonald: Gosh. Right. It depends on what you mean by “kilt.” If you’re meaning the sewn garment as we think of it today, then we’re talking about the early 1800s. It was a much simpler garment in terms of construction and the amount of material compared with those that we see today. It generally had anything from 3 1/2 to 4 yards of material in it, as opposed to 7-8 yards nowadays. That form, the earliest dated example I know is a military kilt of 1794, which is in the National Museum of Scotland. 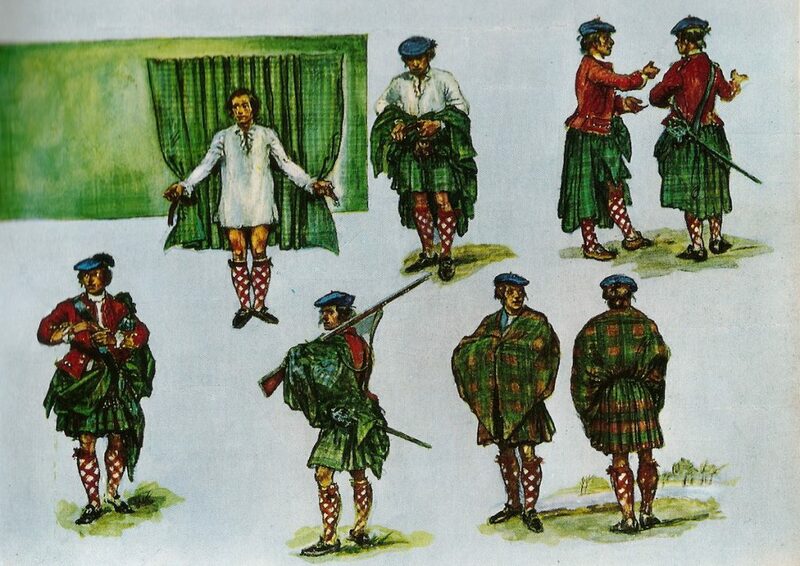 Before that, the kilt developed from a garment, “the belted plaid” or “great kilt,” that, if you like, is the equivalent of a male sari, in that the garment included an upper portion that provided a cloak. The kilt’s lower half became separated, probably in the first half of the 18th century, with what was known as the feileadh-beag, sometimes translated as “little kilt.” When that first happened, it was unsewn. It was simply gathered, and the garment was held in place by a drawstring or a belt. Collectors Weekly: And kilts were specifically associated with the Scottish Highlands? MacDonald: Yes, it was a Highlands costume, and it was associated with living an outdoor life. If you think of Roman and Greek warriors, they also wore a loose, flowing, pleated garment. When you’ve got a poor population, a garment like that is easy to construct, because it doesn’t really require any sewing, and it’s easy to put on. It allows access to cross the moors, where it’s quite wet and boggy. The lower portions of your legs are constantly wet, and you don’t want them covered in wet cloth, so the kilt was very marsh-friendly. The Highland gentry used to wear what we call “trews,” which were like tartan hose, and that’s because they could afford horses and favored horse-riding. 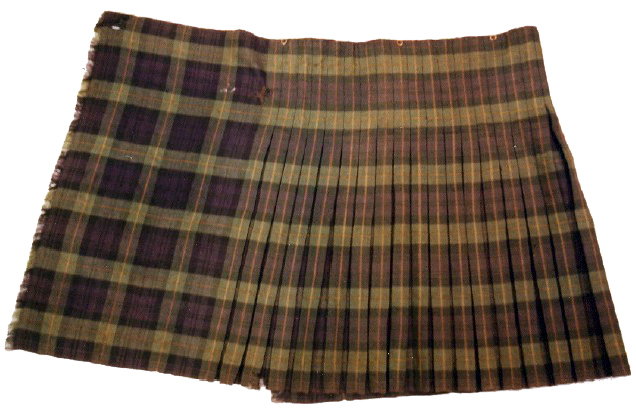 Collectors Weekly: Before the 18th century, was the kilt made of a plaid fabric, or what we now think of as a “tartan”? Collectors Weekly: How far back does the tartan or check pattern date? MacDonald: The oldest surviving pieces are from a series of burials in the Ürümqi desert, on the edge of Mongolia. The mummies were proto-Celtic people, related to the Tocharians. The Celts, and thereby the Scots, came westward from the Caucasus Mountains, maybe 5,000-6,000 years ago. In Scotland, the oldest surviving piece is dated to a circa of 230 A.D., and that’s just a simple brown and unbleached white check. Collectors Weekly: How were the “setts” or check patterns determined in the early days? MacDonald: There were a number of things which would affect them. You can see examples of complex patterns going right back to the bog burials in Denmark. So you have the combination of the complexity of the pattern, and then the addition of color. The tradition in the Highlands is that the Gaels liked bright colors, particularly reds. Red was always an expensive dye. Starting from the early 18th century, if not slightly earlier, its principal source was an imported dyestuff, cochineal, which is a beetle, a shield insect. Therefore, if you wore a tartan with a lot of red in it, you were making a social statement. Red was the de rigueur color across Europe at that time because it was so expensive. The common people would have worn more earthy, simple colors, perhaps with some brighter stripes, rather than a tartan with a lot of red in it. Whereas, in most chiefs’ portraits in the 18th century, they’re painted wearing a lot of red, because they’re making that social statement. It’s the equivalent to “Tyrian purple” for the Romans. Collectors Weekly: Were many of the dyes made from things available to the people in their specific part of the Highlands? MacDonald: They were, although a lot of the things that give you more commonly used dyestuffs are widespread throughout the Highlands, things like birch bark, oak bark, etc. They weren’t necessarily restricted to a particular area. Weavers on Scotland’s west coast favored certain lichens, but those grew up and down the west coast. So you can’t say they were from Skye or Ross-shire or something like that. Another imported dyestuff that was very popular was indigo. We’ve got records of indigo being imported to the Highlands from about 1600. Collectors Weekly: Did women also wear tartan for the garment known as “earasaid”? MacDonald: Yes, they did. And there’s been a lot of discussion about what the earasaid looked like. In the late 1600s, when descriptions of earasaids compared them to male kilts, that form of dress was being described as antique. Certainly by the early 18th century, the earasaid had developed into the “tartan screen,” or shawl if you like, worn over more contemporary European-style dresses. Then, there was an interesting period, starting around the 1730-’40s, where women of status started wearing all-tartan garments or tartan dresses. Collectors Weekly: How did the clan system work? MacDonald: We didn’t have a feudal system like England did, but if you described it as something similar, you would be getting there. The clan system was more akin to the Native American tribe system, whereby you had people who claimed allegiance to and, in the broadest sense, membership of an enlarged family group. You had a patriarchal society in which the majority of the people descended from or owed allegiance to a chief. They paid for that service in what was called “manrent,” meaning, effectively, if the chief wanted warriors, he called on them. It was a much more socially cohesive way of living, rather than the straight feudal system where the lord owned a piece of land and everybody who lived there. Collectors Weekly: Can you tell me a little about the Highlander military companies? MacDonald: The Highland clan system was a military-like system. So there were what we might term, “clan regiments.” The British government saw the potential for the war-like attributes of the Highlanders and so formed a number of independent Highlander military companies to keep order in the area. I guess the equivalent in America would be the Minutemen during the American Revolution. In 1739, the first collection of the Highlander companies was organized into the British regiment of the line, which became the Black Watch. 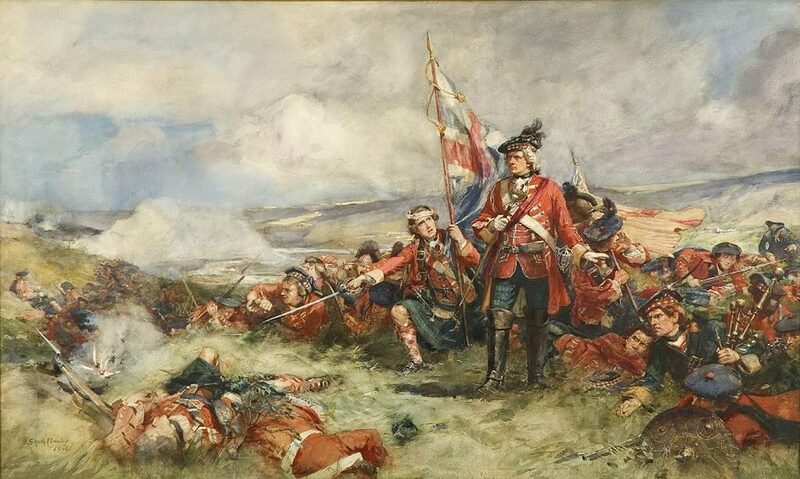 After that, gosh, between the individual regiments and the sub-battalions, there were thousands upon thousands of men in probably 40 or 50 Highland regiments, from 1739 right through to today. Collectors Weekly: Is that when specific tartans became associated with certain regiments? MacDonald: Yeah, that started right from the first military regiment, the Highland Regiment of Foot, in 1739. The regiment wore the Black Watch tartan—sometimes that was known as the “Government tartan.” The early regiments used that tartan as a basis, and they might add a red or a white stripe that tended to match what we call the “facing,” like the buttonholes, etc., on their coats. The Gordons or 92nd had yellow facings, and so they added a yellow stripe in the Black Watch tartans, and so on. Collectors Weekly: Who were the Jacobites and what were their Risings about? MacDonald: Jacobite means supporter of James Francis Edward Stewart, or deposed King James III of England, also known as James VIII of Scotland. There were Jacobite Risings in 1708, 1715, 1719, 1745, and you could argue 1689, too. There was a series of Jacobite Risings over a period of about 50 years. 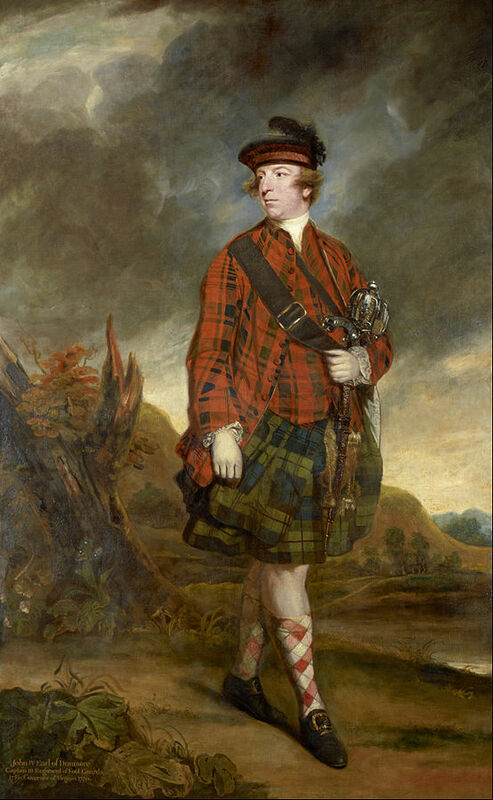 King James’ son, Charles Edward Stewart—also known as “Bonnie” Prince Charlie—was the leader and the figurehead for the last of the Jacobite Risings. There are two elements to the war. One, it was a religious split between those who followed Catholicism and those who were Protestants. Not all Jacobites were Catholics, but the principal leaders, like Charles Edward Stewart, were. Two, the Jacobites came from a tradition of divine right of kings. So a lot of it was about who had authority, whether it was the King or Parliament. 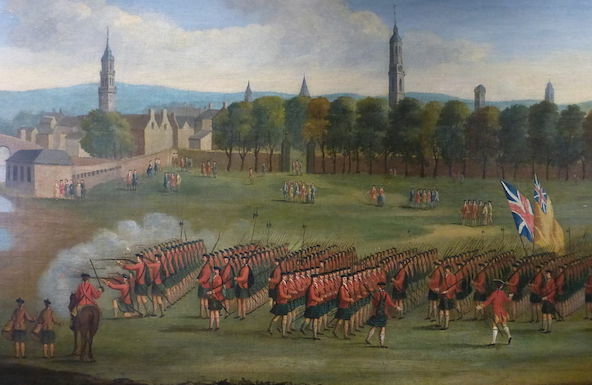 The series of Risings were a fight between the Williamites, those supporters and descendants of William of Orange, who were Protestant and was supported by Parliament, and those who supported the older, Jacobite system. Collectors Weekly: Were the British monarchs known as the Stewarts actually Scottish? MacDonald: Originally, they were Scottish. They go right back to James Stewart, or James VI of Scotland, who became James I of England and Wales under the Union of the Crowns in 1603. Because Elizabeth I had no children, when she died, they had to look around for someone to succeed her. James was related, and so he was offered the crown. He was a Scot, and therefore, from him, descend all the Jameses, hence the Jacobites. If you go to what was called James III of England and James VIII of Scotland, he was born in England, but forced to flee with his father when he was about 7. His son, Bonnie Prince Charlie, was born in Rome. Collectors Weekly: Can you tell me about the Dress Act? MacDonald: Colloquially, it was known as the Dress Act; it was actually part of the Act of Proscription, “An Act for the more effectual disarming of the Highlands.” It was the third iteration of the Disarming Act, the first of which came out in 1716, followed by a second in 1725. After the last Rising in 1745, the British government added into the act a ban of all Highland dress, or what were called “Highland Clothes,” within a region of North Britain called Scotland, by which they meant the Highlands. So now, everyone’s going, “See, it says ‘tartan. '” No, it doesn’t. It talks about tartan Great Coats. And read between the lines: It says “no man or boy.” Women weren’t affected by the act, so they could go on wearing it. The Act of Repeal of 1782, which lifted the ban, doesn’t even mention tartan. It just says you can now wear the kilt and the trews again and dress in the manly garb of your forefathers. According to the research that I’ve done, I have only found the assertion that tartan fabric was banned going back to about 1960, beginning with a paper that was written as a suffix to a book; the paper was actually on natural dyes. I think that’s where the misconception comes from. Equally, you will hear that bagpipes and Gaelic were banned by the act, but neither were banned either. Collectors Weekly: Basically, it said you can’t wear your military garb in this particular region? MacDonald: Correct. 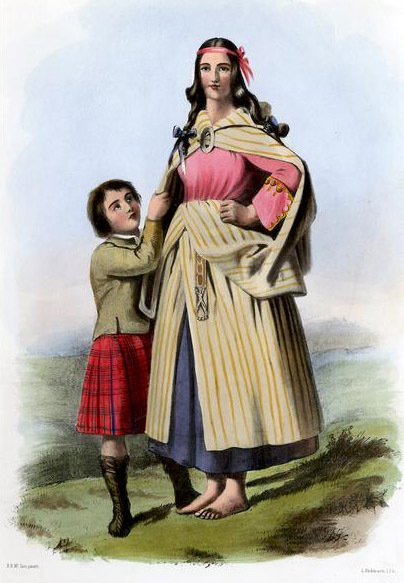 The Highland dress was seen as identifying a strong cultural identity, so the act was designed to break up that clan system. 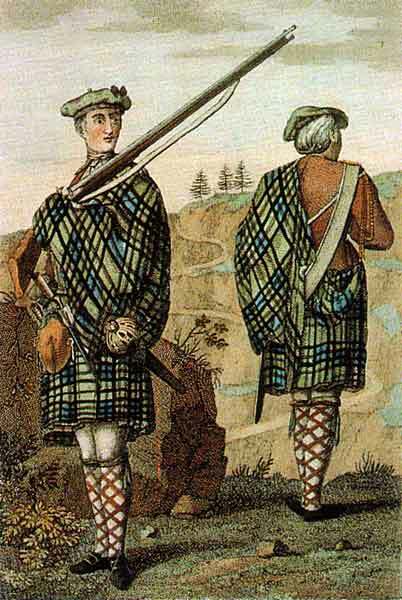 But this particular type of outfit was also seen as synonymous with supporting the Jacobites, so the British said, “OK, you can’t wear it, full stop.” Interestingly, it also applied to every man in the Highlands, even the 50 percent of the Highland population that fought or were sympathizers for the Government side. But the gentry, as they always do, managed to get away with it. So there were quite a lot of portraits painted of gentlemen wearing Highland dress—really from about 1747, the year the Dress Act was brought in, right through for the next 20 years. These men were members of Parliament and all sorts of things. So if you were wealthy enough, you could get away with it. A group of Highland chiefs formed something called the Highland Society of London in 1778, and they began to agitate for the repeal of the Act of Proscription. They were successful in 1782, when it was lifted. There were a couple of other Highland Societies and Celtic Societies that followed on, but they were almost exclusively manned by Highland gentry. It wasn’t a pan-Scottish thing, so the Lowland gentry were not involved at all, really, until the George IV visit. Collectors Weekly: After this ban, the Jacobite struggle became romanticized? There was a very large and famous weaving firm at the time, Wilsons of Bannockburn, which was producing all sorts of tartans just to meet demand. We can see a number of tartans, which are quite popular clan tartans today, that owe their origins or their names to that period. Sir Walter Scott first romanticized the Jacobite Risings in prose fiction in 1814’s Waverley, a historic novel that became hugely popular in the United Kingdom. 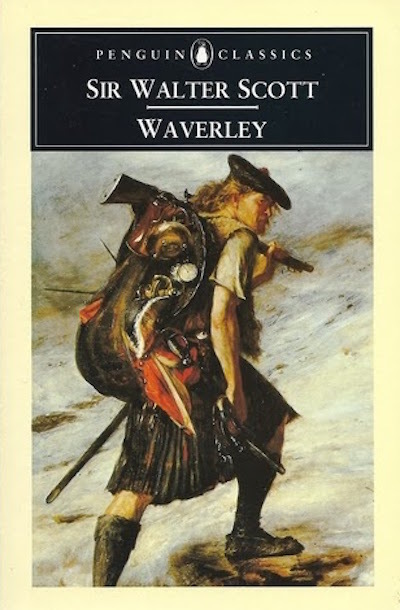 Collectors Weekly: So Sir Walter Scott made the Jacobite struggle seem heroic with his novel Waverley in 1814? MacDonald: Yeah, and he wrote Rob Roy (1817), and Red Gauntlet (1824), followed by a whole series of books, which were about, in one form or another, the Jacobite struggle. His novels were so popular that Wilsons of Bannockburn started producing a number of tartans using his character’s names. They did a Rob Roy tartan, a Robin Hood tartan based on the character in 1820’s Ivanhoe, a Merrilees tartan, based on the character from 1815’s Guy Mannering. They also did Wellington and Waterloo tartans inspired by Scott’s 1816 poem, “The Field of Waterloo.” Wilsons even sold a Sir Walter Scott tartan. Wilsons would name a pattern after anything that would help the tartan sell. You can look at the tartan industry as the exemplars of branding in the early 1800s. Collectors Weekly: Was George IV’s 1822 visit to Scotland the moment when the concept of clan tartans really solidified? And I should say the Highland Society of London in 1816 formed the first private collection of clan tartans, to which all the Highland chiefs submitted a sealed specimen of their tartan. 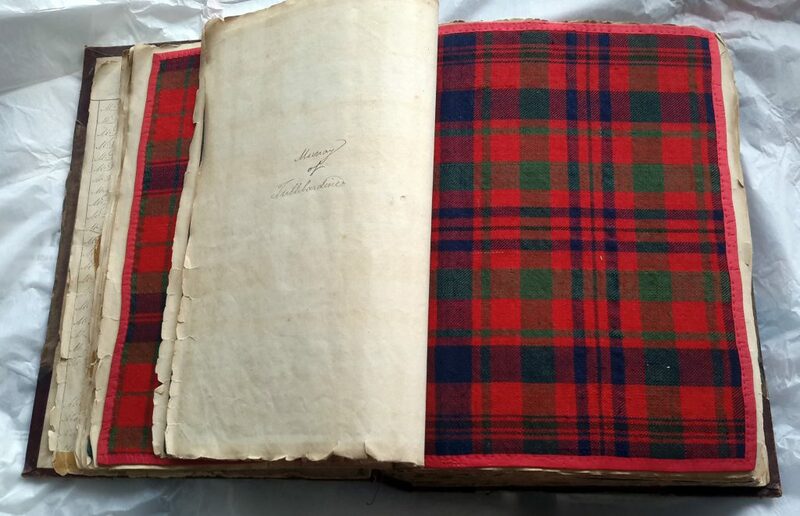 In 1831, there was a book by a guy called James Logan, called The Scottish Gaël, in which he gave scales, or descriptions using thread counts, of a number of a quite a lot of tartans, which he obtained from Wilsons. Then, what came next in importance were the Sobieski Stewarts—John Sobieski Stewart and Charles Edward Stewart, who claimed to be descendants of “Bonnie” Prince Charlie—and their 1842 book, Vestiarium Scoticum, in which they invented a whole load of tartans for Lowland families like the Humes and the Lauders. They said it was based on a 16th- or 17th-century manuscript, which was a bit like the glasses supposedly used by Mormonism founder Joseph Smith—no one ever saw or found it. They’d say, “Yes, it exists,” and every time someone wanted to see it, like Sir Walter Scott, they’d say they’d sent it to someone else, and it was always lost in the post. The tartan history in the book is complete fabrication, but a lot of those tartans are popular clan tartans today. And they obviously have a history that goes back 175 years now. 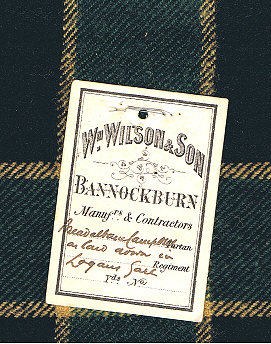 The 1842 inventions are traditional now, bearing in mind that 20 years before then, Wilsons was inventing or giving names to clan tartans. In our Scottish Tartans Authority (STA) database, I’ve got something like 7,500-8,000 patterns, and we add new ones every week. But if you had said to me, “How many of those existed at the time of the Jacobites?,” the ones that survived that we know about are probably less than 50. The majority of those will not have clan names, because they were not known by clan names at that time, although some may subsequently have been adopted as clan tartans. Most of them you will not find if you look in a book on tartans, because the majority are taken from fragments and pieces that have been reconstructed. Collectors Weekly: So the concept of the clan tartan was really embraced by both the weavers and the clans in the 19th century? MacDonald: Correct. Sir Walter Scott, I think, deliberately set out to heal some of the internal Scottish wounds and hatred, to some degree, between the Highlands and the Lowlands. As I say, he developed this pan-Scottish identity. With Scott’s help, Robert Burns became the bard of Scotland, even though he’s got nothing to do with the Highlands, and the Highland dress became the Scottish national dress. Tartans became a Scottish family thing. Wilsons—and others later—just jumped on the bandwagon because it was a great marketing ploy, the company made lots and lots of money. 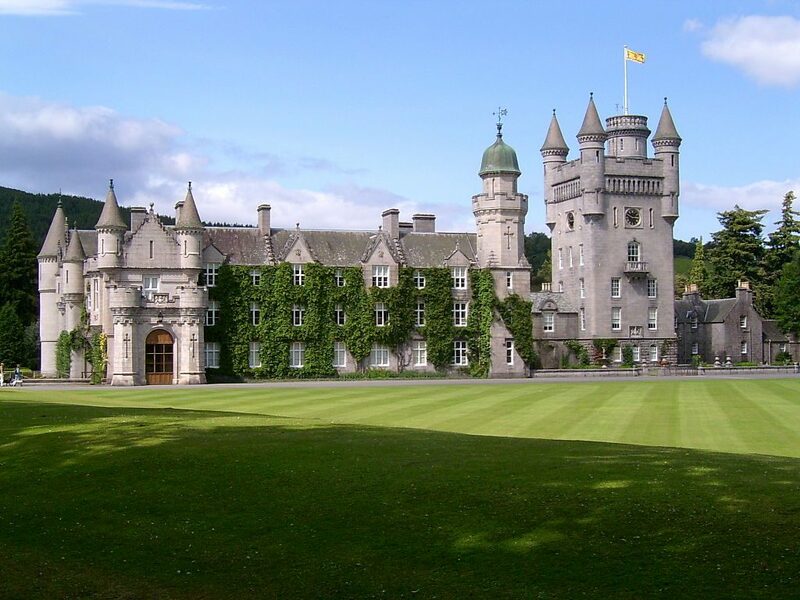 Not long after that, Prince Albert and Queen Victoria bought Balmoral Castle in Aberdeenshire, Scotland, in 1848, and the whole love affair of Scottish schmaltz just went into overdrive. 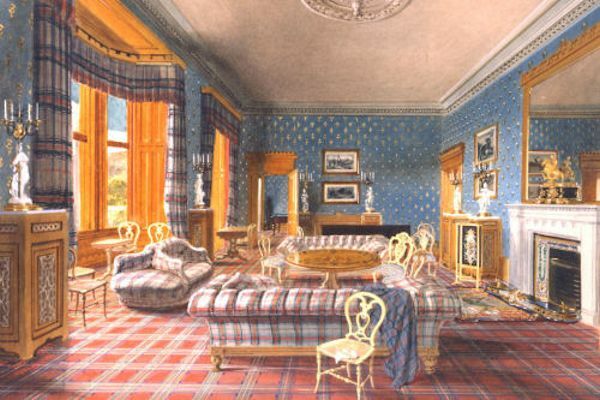 Collectors Weekly: When you look at images of Balmoral Castle, it looks like Victoria and Albert used tartans for everything. MacDonald: Absolutely. Everything from carpets and rugs to clothing to bedspreads and upholstery to tartan-ware, which includes things like check-patterned boxes, dishes, and books. Around that time, a machine called the Apograph—a pen-ruling system that could draw on paper very accurately—was developed. Tartans could then be formed around objects such as needle cases or vases, all sorts of things. Tartan-ware from the 1860s through to about the 1880s, is actually worth quite a lot of money if you get your hands on any. Collectors Weekly: When did weavers like Wilsons first have access to chemical dyes? 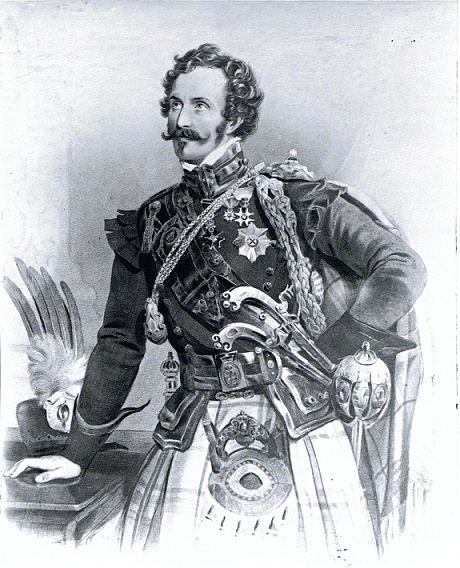 MacDonald: 1856. That was the first chemical dye, Perkin’s Purple, which was a coal-tar dye, and from then onwards, various coal dyes, azo dyes, and aniline dyes were developed. I was commenting on something just today on an online blog where someone had repeated, yet again, that with the advent of chemical dyes, you got more complex designs and more colors available to you. That’s complete rot. Dyes are a recipe, whether they’re natural dyes or artificial dyes. You can have the same range of colors and shades, and therefore, the number and complexity of patterns. The STA has a tartan blanket that’s dated 1748, although I think it’s actually dated to about 1770. It’s got nine colors, including four shades of red and two shades of blue. It’s quite exquisite. There are a number of 18th-century patterns which have a tremendous range of colors and shades, that just disprove the belief we had to wait till aniline dyes to get the range of colors. Collectors Weekly: When did the idea of having a hunting versus a dress kilt come about? 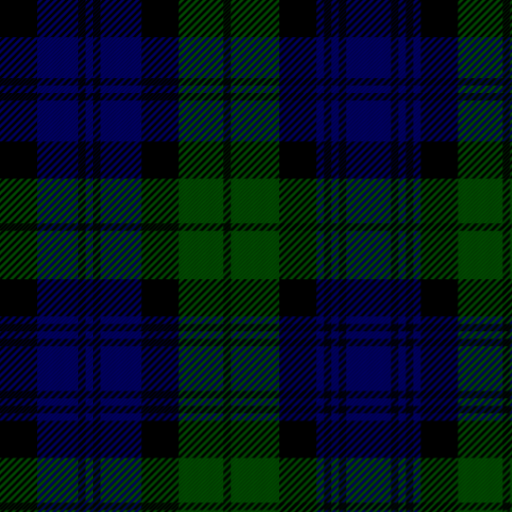 MacDonald: The first hunting tartan was actually listed by Wilsons as the Hunting Stewart. I think it was neither “Hunting” nor “Stewart” in the way we use the terms today. Really, the whole idea of the hunting tartan dates to the late 19th century. 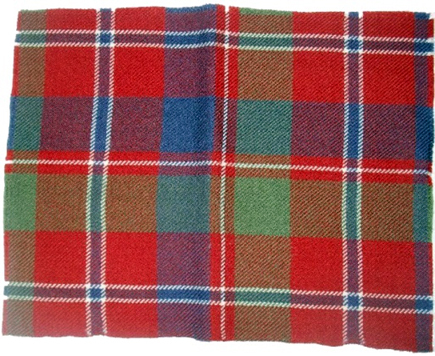 Around 1880 or so you start to see a range of these hunting tartans, which are principally existing clan tartans with brown in them replacing the red. Collectors Weekly: How do people register a tartan now? MacDonald: First of all, they don’t have to be registered. There are quite a lot of tartans that are designed, particularly by the commercial trade, that don’t get registered. And there are tartans designed all over the world. In Scotland, the Scottish Register of Tartans is the official government-sponsored repository where you register the tartans. But it doesn’t have every tartan, ironically. The Register was only set up by an act of Parliament in 2008, so they’ve only been recording tartans since then. They started with some of the STA’s records, with some of those more common patterns as a basis, and they’ve added about 1,500 since then. But they don’t have the number that we’ve got or the more unusual patterns. A lot of my work is about restoring or preserving old specimens, etc., and those are the things which nobody is really interested in. But we keep them preserved, because if you like, they are the true tartans. Collectors Weekly: Do people in Scotland still adhere to rules about tartans? MacDonald: Well, hmm, it depends what you mean by “rules.” In Scotland, it is much more common for people to choose a tartan with which they have a family association. There’s a younger element that won’t, and there are quite a lot of popular fashion tartans, like Pride of Bannockburn, and things like this. And there are quite a number of fashion colorways going around at the moment, which are popular. In Scotland, people, if they own a kilt, they’ll only have one, generally. Whereas, if you go particularly to North America, you’ll find a lot of people have as many as seven kilts. They wear their kilts far more often than the people in Scotland do. Because you have a relatively young country, everybody is ethnically from somewhere else. Scottish Americans will host and dress up for Scottish nights very frequently. I have some very good friends in Canada who meet every week for Tartan Tuesday. I used to wear a kilt every day for quite a long time, but I don’t at the moment. We Scots tend to wear kilts much more selectively, so it will be special occasions, because most of us have jobs that do not naturally support wearing a kilt. Collectors Weekly: Are the most famous tartans the Black Watch and the Royal Stewart? MacDonald: Those two are the most popular tartans, and they have been done to death in pencil coverings and tins and all sorts of things. They’re very reputable. You see them all over the place, right through to Vivienne Westwood. 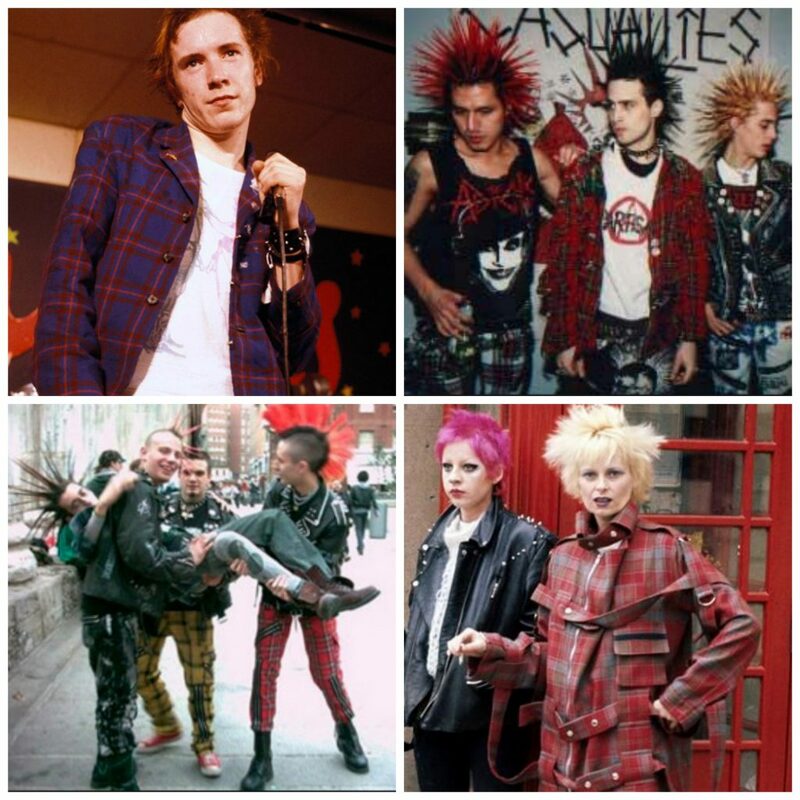 The punk scene, in particular, used the Royal Stewart. We’ve even got a piece of tartan that was taken to the moon. After denim, I would have to say that tartan is probably the most popular textile in the world. Collectors Weekly: I’m sure you’ve seen the utility kilts. Excellent article! Why the need to cast dispersions on a major religion? There has not been a Queen of England since 1603. Major anomaly “…Balmoral Castle in 1848, and the whole love affair of Scottish schmaltz…”. I’m fairly certain you can’t use the yiddish word for rendered animal fat spread (even if also a vernacular phrase for “hyper-marketed, hyper-sentimental products of questionable value”) to describe anything Scottish. Sacrilege! The STA website is a goldmine however. Great historical articles on Caledoniana there. Yes, RJ Price, it is an excellent article. But where, pray tell, was an aspersion cast on a major religion? Mention was made of Catholicism and Protestantism, but neither was singled out as preferable. A bit over sensitive, are we? Good article. Thank you. I like the concept of the Utility kilt you briefly mention at the end but but not those peculiar dresses with the narrow fri t and the belted waist. Just make a kilt from workwear material. I have a camouflaged one and a high visibility one. I had to make them myself. Lovely article, thank you. However I believe the following is a typo. In fact it is the other way about, he was James the VIII (i.e. the eighth of that name) of Scotland, or would have been, and he had to flee for his life before he could be crowned as James III of England. HRH is officially known as “Queen Elizabeth the Second, by the Grace of God Queen of this Realm and of Her other Realms and Territories, Head of the Commonwealth, Defender of the Faith.” But since this includes England, the Campbell is wrong. Regarding the Yiddish word “schmaltz”. In this modern era, this word can be used by anyone anywhere. Even as here, ironically. Very many errors/inaccuracies in this article. Most of this has now been ‘debunked’ as Pro-British propaganda through the ages. Very informative article. Thanks . Jock Campbell Says “There has not been a Queen of England since 1603”. This is incorrect: both Mary II and Anne held the title Queen of England (as well as Queen of Scots, of course). In 1707, the Acts of Union meant that England and Scotland became a single country, and the titles “Queen of England” and “Queen of Scots” ceased to exist. Ian MacLean Says that HRH [he means HM] is Queen of England, because the territories for which Queen Elizabeth is monarch includes England. She is indeed, queen of England, just as she is queen of Orkney, queen of Sussex, and queen of Manitoba, but it’s not an actual title that she holds. One might as well start referring to President Trump as President of California. Yes there has been a queen of England since 1603 . In fact two. Queen Mary , re William and Mary , and Queen Anne. It must also be noted that our present queen is Elizabeth the second of England and first of Scotland. The plaid wore only by the men is made of fine wool, the thread as fine as can be made of that kind. It consists of divers colours; and there is a great deal of ingenuity required in sorting the colours so as to be agreeable to the nicest fancy. For this reason the women are at great pains, first to give an exact pattern of the plaid upon a piece of wood, having the number of every thread of the stripe on it. The length of it is commonly seven double ells; the one end hangs by the middle over the left arm, the other going round the body, hangs by the end over the left arm also: the right hand above it is to be at liberty to do anything upon occasion. Every isle differs from each other in their fancy of making plaids, as to the stripes in breadth and colours. This humour is as different through the mainland of the Highlands, in so far that they who have seen those places are able at first view of a man’s plaid, to guess the place of his residence. When they travel on foot the plaid is tied on the breast with a bodkin of bone or wood (just as the spina wore by the Germans, according to the description of C. Tacitus). The plaid is tied round the middle with a leather belt. It is plaited from the belt to the knee very nicely. This dress for footmen is found much easier and lighter than breeches or trowis. Martin, Martin. A Description of the Western Islands of Scotland (Kindle Locations 2122-2130). AlbaCraft Publishing. Kindle Edition. “ ” Patients with a prescription could go to a pharmacy and get a pint.